The Colts must REALLY want to make sure Peyton Manning stays upright for the near future, as they have now spent their first two picks of the 2011 NFL Draft on offensive linemen. 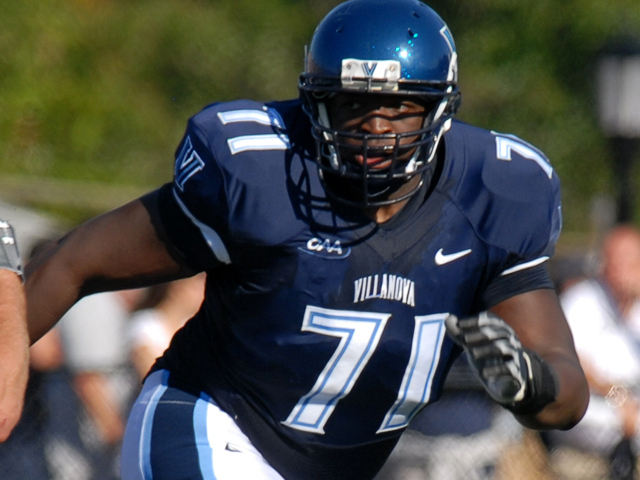 Friday evening the team grabbed Villanova OL Ben Ijalana. Positives: Exceptional pass blocker at the FCS level, dominates defensive ends on most plays with great length with athleticism. Excellent foot quickness to mirror his man. Works to sustain even if his man backs off a bit. Has the bulk, length and footwork to be a very effective run blocker. Excellent agility to get out of his stance, capable of moving behind the line and into the hole to negate linebackers. Excellent durability; started all 52 career games. Negatives: Inconsistent kick-slide, will cross his legs and be beaten outside when he loses focus off the snap. Must improve his awareness of end-tackle stunts and inside blitzers, as his quarterback takes too many direct hits. Carries a bit of extra weight in his mid-section. Comes off the ball a hit high in short-yardage situations. Tough time adjusting to quick players in space, even if they are coming straight on. Occasionally loses the snap count or is distracted in pass protection. Stands around too much as the play continues. 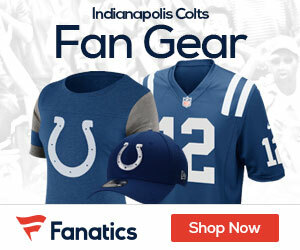 Make no mistake about it, the Colts are looking to make sure they have their franchise QB for a long time to come with these two picks, and they also want to do what they can to open holes for their running backs, and this sends a message that they want to stay up top the AFC South for a long time to come.